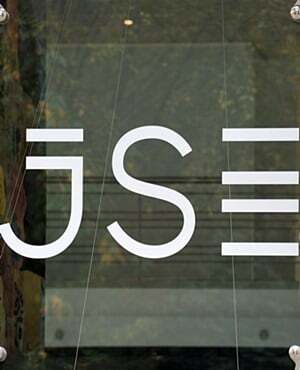 The JSE concluded a week of recovery as it closed firmer on Friday. Global equity markets were buoyant on the possibility of the easing in the US-China trade war, following reports that US President Donald Trump had asked his administration to begin drafting a possible trade deal with China. Following a firmer close in US equity markets overnight, a similar trend was recorded in Asia on Friday where the Hang Seng surged 4.21%, while the Shanghai Composite Index and Nikkei gained 3.56% and 2.56% respectively. Markets were also upbeat about the jobs data out of the US which came in better than expected as the US economy added 250 000 jobs in October, compared to the forecasted addition of 200 000 jobs. Despite the jobs data, the US dollar remained weaker relative to other major currency pairs. The local currency traded mostly firmer on the back of this weakness in the greenback. The rand reached a session high of R14.26/$ before it retraced to trade at R14.28/$ at 17.00. On the JSE, financials led the recovery as they were inspired by the firmer rand. FirstRand [JSE:FSR] rose to R68.51 after gaining 4.79%, ABSA Group [JSE:ABG] gained 3.75% to R158.74, and Standard Bank [JSE:SBK] closed 3.63% higher at R173.47. Retailer, Shoprite [JSE:SHP] surged to R188.13 after adding 4.08%, while The Foschini Group [JSE:TFG] climbed 2.01% to close at R168.50. Platinum miner, Impala Platinum [JSE:IMP] added another 3.45% to close at R28.45, while Northam Platinum [JSE:NHM] rose to R40.10 after adding 3.35%. Index giant, Naspers [JSE:NPN] managed to post gains of 2.99% to close at R2 898.97. Of the day’s losers, Harmony Gold [JSE;HAR] retreated to end the day 6.14% softer at R26.46, while platinum miner, Lonmin [JSE:LON] lost 0.92% to close at R8.64. Rand hedge, British American Tobacco [JSE:BTI] closed 2.87% weaker at R626.00, and diversified miner BHP Billiton [JSE:BIL] lost 1.59% to close at R298.13. The blue-chip JSE Top-40 index closed 1.45% higher, while the broader JSE All-share index gained 1.29%. The Resources index was the only major index to close weaker as it lost 0.9%. The Financials and Industrials indices gained 3.1% and 1.71% respectively. Brent crude was mixed but after having slipped to a session low of $72.42/barrel, it recovered to trade at $72.72/barrel just after the JSE close. At 17.00, Gold was 0.08% weaker at $1 232.44/Oz, platinum was 1% firmer at $867.93/Oz and palladium had gained 1.84% to trade at $1 114.90/Oz. Bitcoin was up 1.16% to trade at $6 437.95/coin, and Ethereum had gained 1.93% to trade at $202.26/coin.